According to the Bible, Jesus ascended into heaven forty days after his Resurrection. Here he rises above the clouds as if climbing on invisible stairs, surrounded by four angels who appear from behind shell-like clouds. 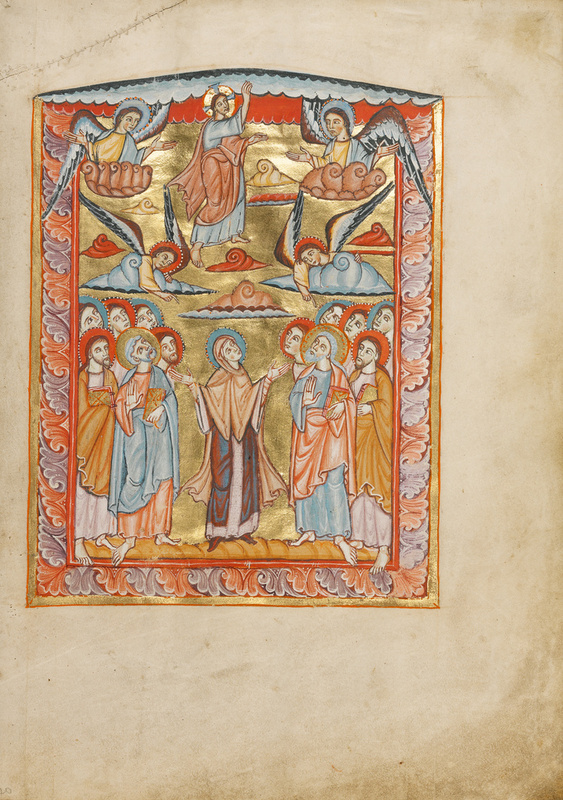 Below, Christ's disciples flank the Virgin Mary as they look up in wonder.